Trusted LASIK Surgeons launched its revolutionary Trusted LASIK Surgeons directory service and website at http://www.TrustedLASIKSurgeons.com to provide a resource for consumers seeking to improve their vision and find a highly qualified LASIK surgeon who can help improve their chances of attaining 20-20 vision. What sets the Trusted LASIK Surgeons directory apart is a unique screening process ensuring that only those who are among the best in LASIK eye surgery and laser eye surgery in the United States are listed. LASIK and refractive eye experts such as Dr. Brock Magruder, Jr., are screened based on their experience, research, publications, lectures, and patient care standards. Trusted LASIK Surgeons believes Dr. Brock Magruder, Jr. has exceptional professional accomplishments that place him among the top LASIK surgeons in the United States. His practice at LaserVue serves patients in Central Florida, including Orlando, Winter Park, College Park, Windermere, Altamonte Springs, Maitland, Lake Mary, Daytona Beach, and Cape Canaveral. Lasik Surgeon Brock Magruder, Jr. at the IntraLase laser preparing to perform all laser LASIK on a patient. Dr. Magruder serves patients seeking to improve their vision throughout Central Florida. Dr. Magruder has the qualifications we look for among our surgeons and we are pleased that a surgeon of his reputation and caliber will be represented in our LASIK directory for the city of Orlando. Trusted LASIK Surgeons announced today that Dr. Brock Magruder, Jr., M.D., having met the listing standards, has joined the Trusted LASIK Surgeons Directory, an informational resource for consumers looking to see better through LASIK and other vision correction surgery procedures. Dr. Magruder's and his LaserVue practice helps patients achieve 20-20 vision throughout Central Florida, including Orlando, Winter Park, College Park, Windermere, Altamonte Springs, Maitland, Lake Mary, Daytona Beach, Cape Canaveral and all of Orange, Seminole, Volusia, Polk, and Lake counties. Dr. Magruder also regularly treats patients seeking to improve their vision through laser eye surgery, cataract surgery, and other vision correction procedures throughout Florida. Trusted LASIK Surgeons directory service screens all surgeons who apply to ensure that only those LASIK surgeons who are among the top in the United States will be listed. Each surgeon is screened based on experience, premier patient care, and professional credentials. Dr. Magruder, Jr.'s outstanding credentials place him among the top LASIK and refractive surgeons in the United States. Over his 19 year career in refractive surgery, Dr. Magruder, Jr. has been a pioneer in bringing the latest and most advanced vision correction technologies in refractive surgery to patients in Central Florida. Dr. Magrudeer, Jr. has participated in numerous FDA studies as a principal investigator. Dr. Magruder was involved in the first FDA studies to use Wavefront or "Custom" technologies for LASIK and PRK and, was the first FDA wavefront investigation site in Florida. Dr. Magruder and LaserVue have been bringing the advancement of cutting edge vision correction technologies to the Central Florida area. LaserVue was the first center to acquire the VISX laser for vision correction surgeries. It was also the first to provide CustomCornea wavefront guided LASIK treatments, offer surgical alternatives to LASIK like surgically implanted lenses and the Starr Visian implantable contact lens, and utilize the WaveLight Allegretto laser. Dr. Magruder is the only LASIK and refractive surgeon named to the "Best Doctor" list by Orlando magazine as chosen by his medical peers. Alcon, a manufacturer of vision correction lasers and other eye products, has presented him with the Centurion Award in recognition of his leadership in LASIK and the quality of outcomes from LASIK and other laser vision correction procedures performed by Dr. Magruder. He has performed over 20,000 LASIK and other vision correction procedures. Personalized attention is a hallmark of LaserVue where patients come first, beginning with an initial consultation with Dr Magruder, Jr. Patients are thoroughly evaluated before being presented with options. Dr. Magruder offers a full range of treatments, not just vision procedures, various lens implants, phakic implants, refractive cataract surgery, each patient can be assured that the procedure most suited to them is recommended. Numerous treatment options allows Dr. Magruder to treat people suffering from a variety of vision problems, including nearsightedness (myopia), farsightedness (hyperopia), astigmatism (blurred vision), and presbyopia. LaserVue uses the latest equipment, including the IntraLase system for "All-Laser" or "Bladeless" LASIK, Wavefront Based ("Custom") LASIK and PRK, and the Wavelight Alegretto Laser. Dr. Magruder, Jr. has been selected by hundreds of other doctors (including eye doctors) and their families to perform their LASIK Laser eye surgery or other refractive surgery procedure. G. Brock Magruder, Jr., M.D., is active among his peers. This highly qualified surgeon is a member of the American Academy of Ophthalmology, the International Society of Refractive Surgery, the American Society of Cataract and Refractive Surgery, and the American Medical Association. The Journal of Cataract & Refractive Surgery trusted his expertise to serve as a reviewer of scientific articles submitted by his peers. He has presented lectures on scientific research topics in refractive surgery at national eye meetings as well as numerous presentations at meetings of local and regional organizations. 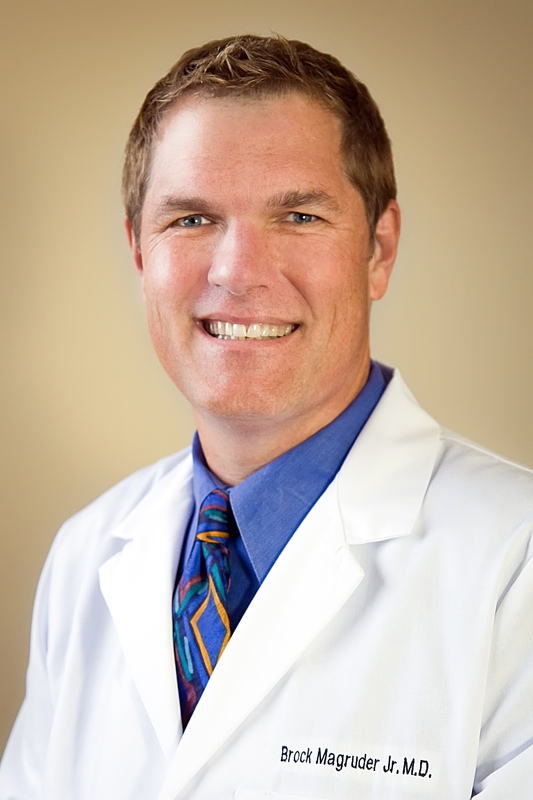 Locally, Dr. Magruder, Jr., is a member of the Florida Society of Ophthalmology and the Florida Medical Association. Like all of the highly qualified refractive surgeons in the Trusted LASIK Surgeons Directory, he is certified by the American Board of Ophthalmology. An exceptional eye surgeon, he is also certified in cataract surgery by the American Board of Eye Surgeons. Nowhere is Dr. Magruder, Jr.'s dedication to eyecare and improving vision more apparent than in his service to the less fortunate. He founded and continues to run the ophthalmology section of Medical Mission to San Juan de la Maguana, Dominican Republic through the Orlando Catholic Diocese. 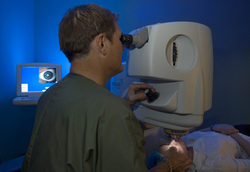 "I have known Dr. Brock Magruder personally for several years, dating back to our involvement as investigators for several FDA studies for the first excimer laser system to be approved for customized, wave-front based surgery which revolutionized the LASIK procedure," commented James J. Salz, M.D., Chief Executive Officer of Trusted LASIK Surgeons. "Dr. Magruder has the qualifications we look for among our surgeons and we are pleased that a surgeon of his reputation and caliber will be represented in our LASIK directory for the city of Orlando." "I am honored to be recognized by Trusted LASIK Surgeons," said G. Brock Magruder, Jr., M.D. of LaserVue Lasik Center. "It is great to be affiliated with such a respectable group of refractive surgeons throughout the country." The screening process and standards used by Trusted LASIK Surgeons are located at How Are LASIK Laser Eye Surgery Surgeons Qualified at Trusted LASIK Surgeons? About Trusted LASIK Surgeons, Inc. Trusted LASIK Surgeons, Inc. (Trusted LASIK Surgeons) is a premier LASIK, laser eye surgery, refractive eye and cataract surgery directory service whose primary mission is to assist consumers in finding the best and most qualified LASIK and vision correction surgeons in their local area in the United States. To accomplish this, Trusted LASIK Surgeons uses a unique screening process where each prospective LASIK eye surgeon must meet the minimum required qualifications set by Trusted LASIK Surgeons. These qualifications for these doctors are based on experience (not just in LASIK but complete refractive care), research (including FDA approval studies for manufacturers and academic appointments at major universities), publications and lectures (to their peers, not to the public via infomercials) and patient care standards (treating other eye professionals and managing complications from patients first operated on by someone else). All refractive eye surgeons listed at Trusted LASIK Surgeons have qualified, been accepted, and have subscribed to our services. For more information on why we believe consumers interested in LASIK should consider an eye surgeon listed in the Trusted LASIK Surgeon's directory, please visit our website at http://www.TrustedLASIKSurgeons.com. When LaserVue opened in the mid-90s, it was the first refractive surgery center in Central Florida and one of the first in the country dedicated to laser vision correction. Since then, LaserVue continues to be a leading pioneer of laser and vision correction treatments for people in Central Florida, where it was the first center to offer Wavefront ("custom") LASIK treatments, surgically implanted lenses, Starr Visian implantable contact lenses, and the WaveLight Allegretto laser, currently the fastest laser for vision correction in the country. When selecting a refractive surgeon, experience and dedication to vision care is an important factor. Dr. Magruder has performed nearly 20,000 LASIK and PRK surgeries over these years and has participated in FDA clinical trials that have led to the development of new technologies. At LaserVue, we deliver our high-end technology and vast experience with personalized care which begins with your initial consultation which is performed by Dr. Magruder, Jr. himself. We take time to carefully study each eye and each patient so that we can be sure we provide the best advice regarding your refractive choices. For more information about Dr. G. Brock Magruder, Jr. and his exceptional team at LaserVue Orlando, please visit http://www.laservueorlando.com. Trusted LASIK SurgeonsAn online resource for consumers seeking better vision through LASIK and other refractive surgery procedures. Trusted LASIK Surgeons screens all LASIK surgeons based on experience, professional accomplishments, and premier patent care to ensure only highly qualified LASIK and vision correction surgeons are listed in its Trusted LASIK Surgeons Directory. Orlando LASIK Surgeon Brock Magruder, Jr.LASIK surgeon and expert Dr. Brock Magruder, Jr., has extensive qualifications that Trusted LASIK Surgeons estimates place him among the top vision correction eye surgeons in the United States. Dr. Mathers offers patients a full range of vision correction surgery options, including LASIK and other forms of laser eye surgery, cataract surgery, and lens implants.